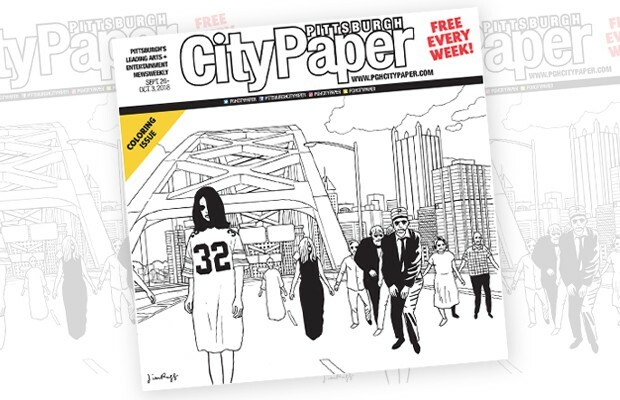 Zombies have taken over this week's City Paper in honor of Night of the Living Dead's 50th anniversary. 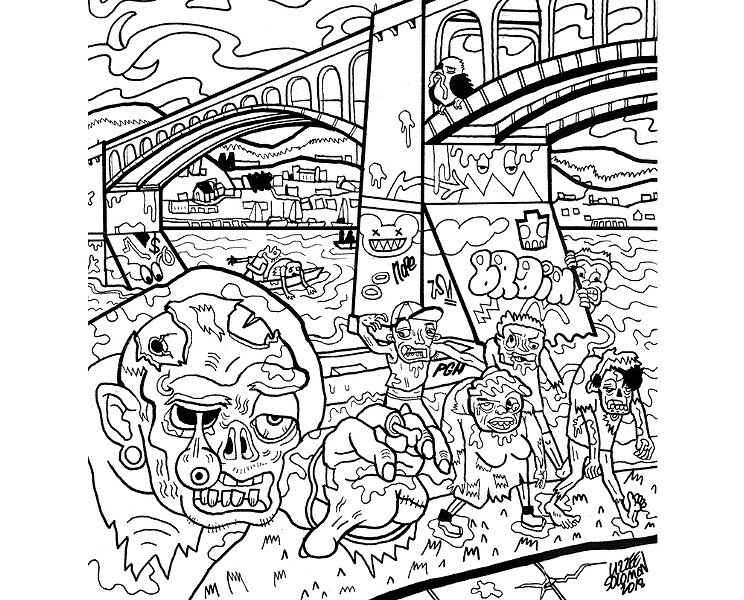 Our second annual Coloring Issue features five zombified coloring pages by Pittsburgh artists, inspired by the film. It was filmed in Butler County's Evans City, and was the inspiration for this week's cover artwork by artist Jim Rugg. 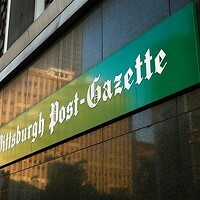 Many have claimed the best view of Pittsburgh is the one you see arriving from the Fort Pitt Tunnel. Can you imagine exiting the tunnel to this motley crew? 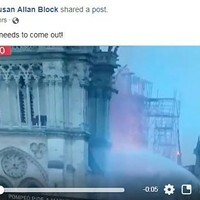 I bet we can guess what place you don't want to get stuck in when the zombie apocalypse hits town. 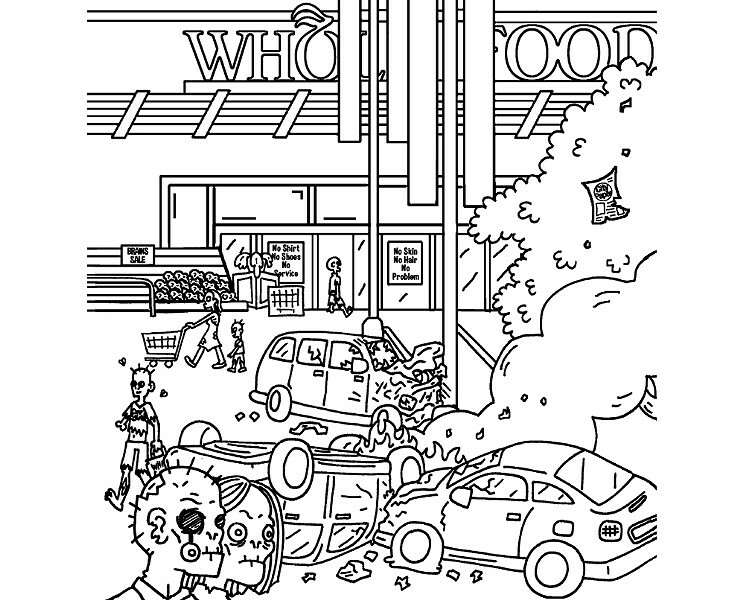 The Whole Foods parking lot, amiright? We especially dig artist Matthew New's "No Skin, No Hair, No Problem" sign in the window. 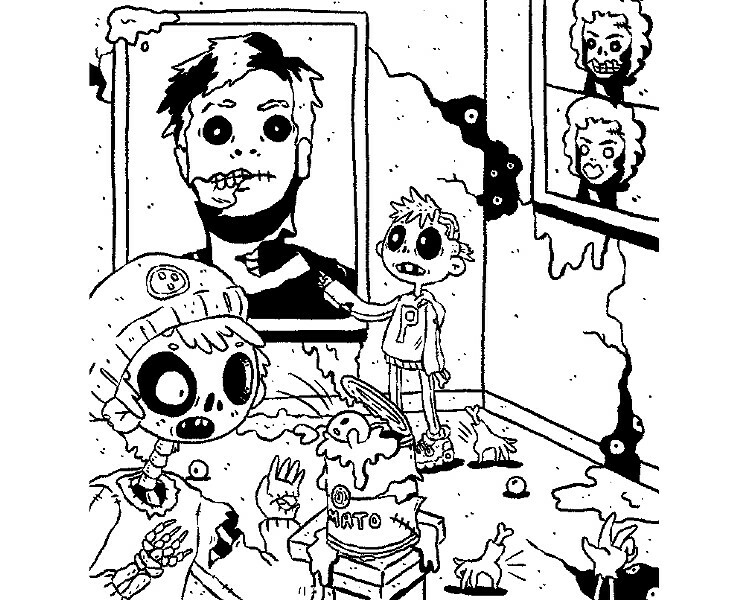 Did you know zombies like high art? It's true. They've taken over the Andy Warhol Museum, illustrated by Angela Fullard. You might think living near all these rivers will make us safe, but as artist Lizzee Solomon shows us, zombies can just go across the water in kayaks like the rest of us. Even Lawrenceville hipster zombies. 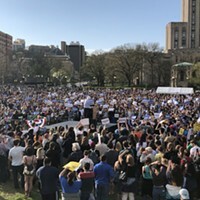 Oh well, if you can't beat 'em, join 'em. Pull up a bar stool at Romero's and order an IC Fright. 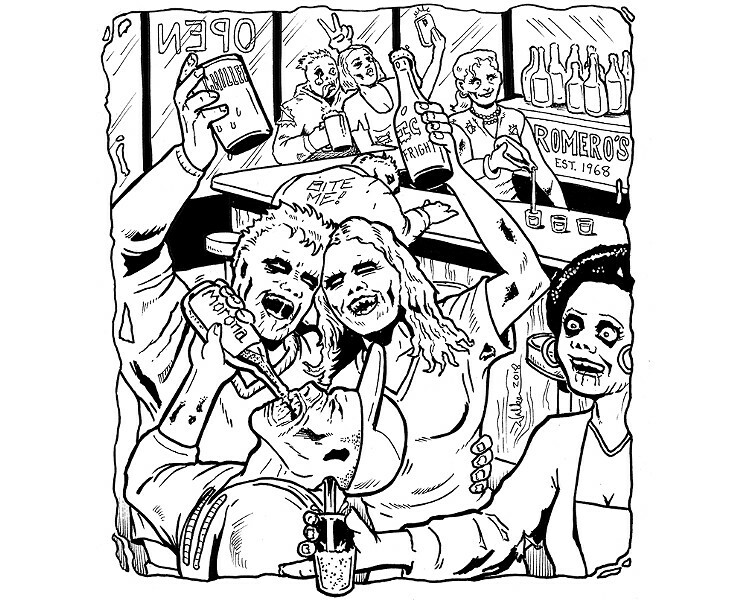 Artist Marcel Walker calls this one "Drinking Your Brains Out!" Sprinkled throughout this week's print edition are also five bonus coloring images created by CP staff artists Connor Marshman, Maya Puskaric, and Jeff Schreckengost. 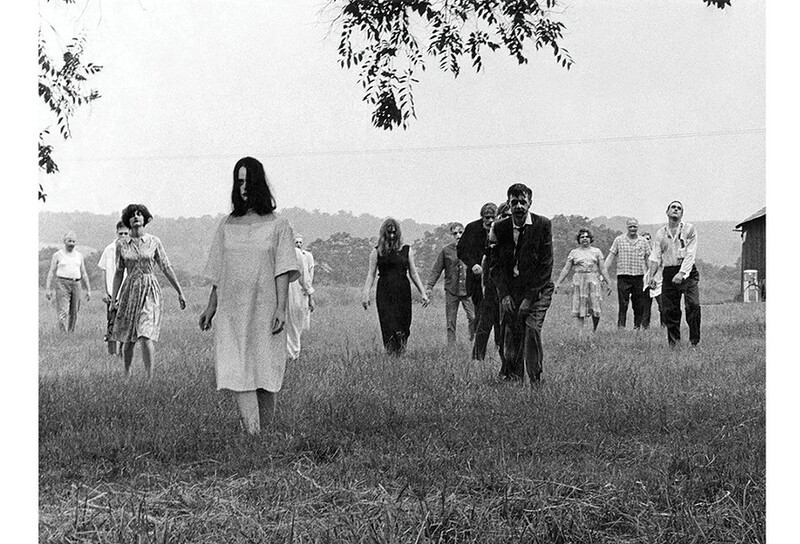 Plus, senior staff writer Amanda Waltz talks to three cast and crew members from the original Night of the Living Dead to bring us an oral history of the film from its origins to its anniversary. If you've got braaaainnnnnnnnnns, grab some crayons before you pick up this week's issue — hint: you're probably gonna wanna grab extra greens and reds.